Hal e shoma? Khub hastin? Khosh migzareh? Omidvaram keh hamisheh deletun shad va labetun khandan basheh. Well, this is a kind of Persian greetings. You may use them at different occasions (not at gravesites of course!! ); like when you are talking to your friends, colleagues, boss, and even boyfriends or girlfriends. Before we start today, I have a couple of words to share with you. 1- I know you are busy and it may not be fair to ask you do something beyond your ability on this site. 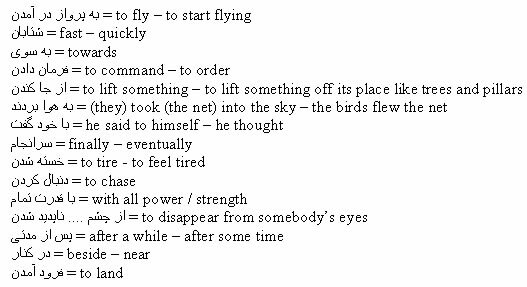 However, this may be useful to help you improve. One of the site’s features which makes the site dynamic and gives the users the opportunity to exchange words and ideas with each other is the Message Board. I admit that I have not been a good Board Admin in protecting your messages on the board; the board broke a couple of times and we lost all the previous messages. I am sorry for this. But, the Forum is again online and is a good place for you to be in touch with other students. It also gives you the chance to get to know new friends. Unfortunately, you are not using the message board as I expected. So I am inviting you to get involved in the board’s activities more actively when you have enough time. Please remember that your active presence makes me active on this site; otherwise, I may feel discouraged. 2- Some friends are complaining that the ads on the pages are distracting. I am sorry for this, but the point is that they are necessary for the maintenance of this site. Currently they are the main source of my income here. 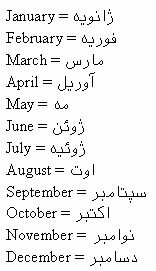 3- A friend from India , a land which I love, wanted to know how we say western months in Persian. Thanks to Sardar Ji for his comments. So before we continue part 2 of the story on lessons 140 and 141, I want to take advantage of the time to explain this point here. As you may probably know, Persian language is closer to French than it is to English, as far as pronunciation is concerned. The point is that the way words pronounce in French is closer to Persian structure. Based on this, we Iranians use the French pronunciation of western months. 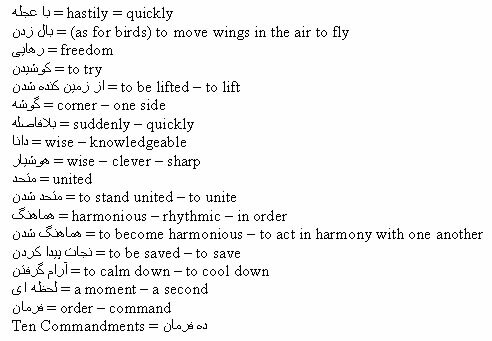 To save time for you and me, I am going to write the months and their Persian script without explaining them more. All you need to do is to listen to the pronunciation which comes at the end of December below! 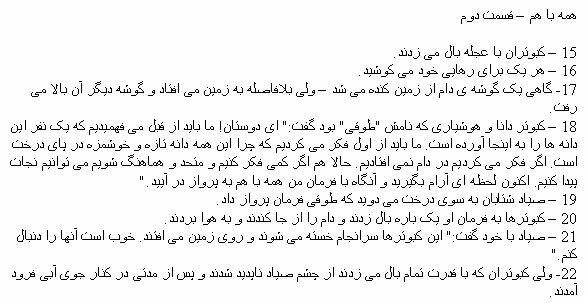 Now we can go back to the Persian story of Kelileh vo Demneh. Ok, this is the text for today. Please right-click on the link below and save the audio file first. Try to listen to the audio file a few times as you look at the above Persian writings. Then, learn the words below. Wow, it was a lot of work!! Ok, please do the translation on your own. I don’t think it is a hard work now. Then, take a look at the Useful Drills page to work on some structures. the typography of the story is not easy to read. Points are illegible.